Southern Grind specializes in producing high quality, USA-made knives. They were founded by country singer and knife enthusiast Zac Brown. His Georgia based metal shop offers innovative knife designs and metal works using the best materials on the market. Jim Murray’s Whisky Bible is the world’s leading whisky guide. 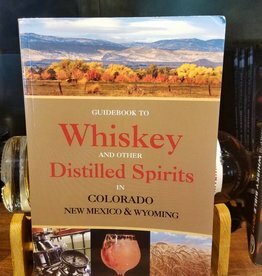 Each edition contains over 4,600 detailed, professionally analysed and easy to understand tasting notes on the world’s leading and lesser known whiskies. 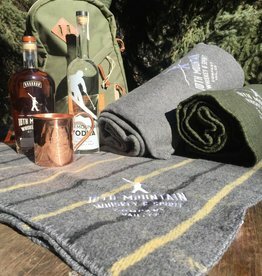 Stay warm with these embroidered 10th Mountain Whiskey blankets made with merino wool. 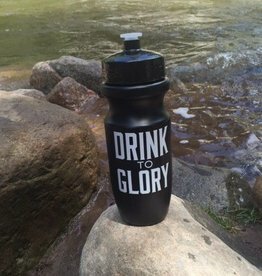 Stay hydrated with our 10th Mountain grab and go water bottle. 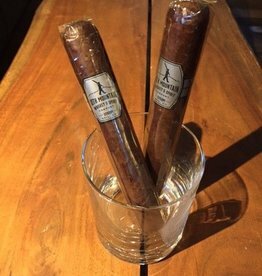 Great for long cycling or hiking trips. Drink to Glory!! Our 10th Mountain Patch in black and white will iron onto your favorite gear in honor of the 10th Mountain Soldier. This design features pick axes and our 10th MTN logo. 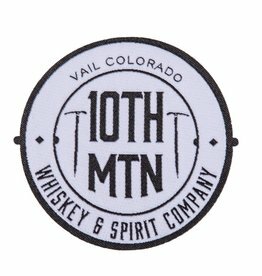 Customize your gear with the 10th Mountain Whiskey & Spirit Company.